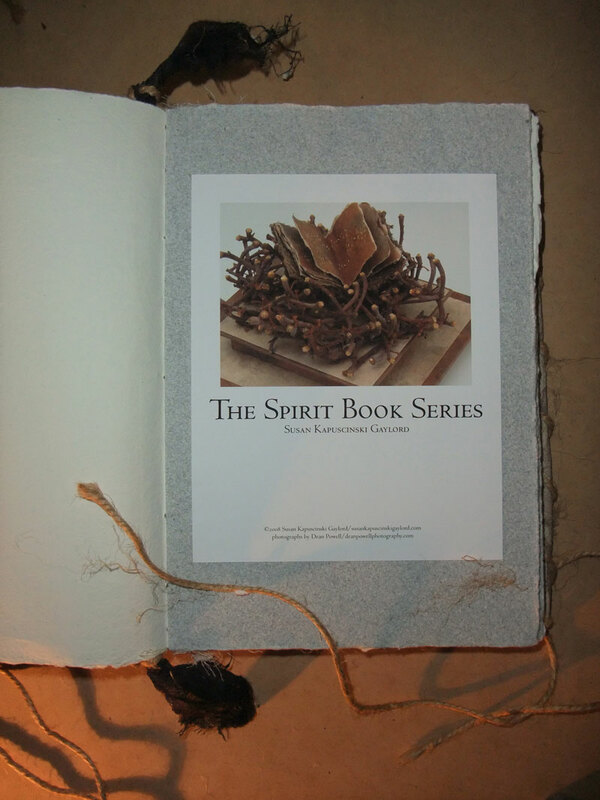 Just now as I was making my second cup of coffee for the morning & was thinking about how I have always wanted to do a Spirit Book workshop with you and the way I can do it is by making a "Spirit Book" of the Portfolio section of your Spirit Book CD ! With your permission I would like to print out the 36 pages of each of your books on my favourite Hahnemeuhle photo rag satin paper & then paste each of the images onto handmade paper and make a "Spirit Book" with the best of the tendrils and sticks I have collected from our customers gardens ( I work as a gardener to pay the rent and put food on the table). 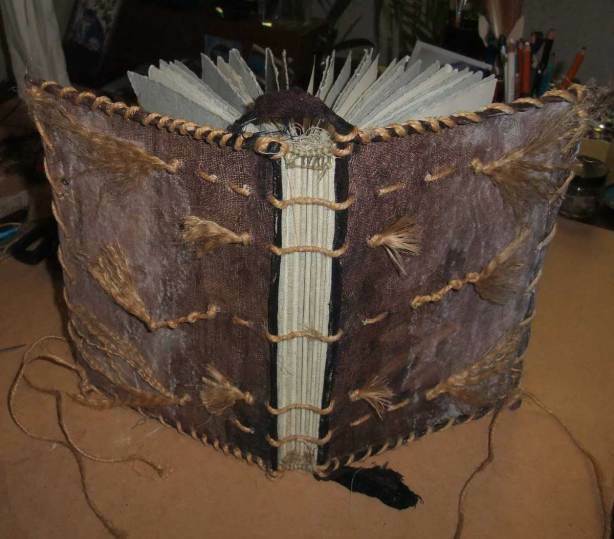 If it works out as well as I hope I will enter it in this year's Australian Bookbinders Exhibitions. Of course I was so honored and immediately responded with a Yes! She has begun the project and shares her process on her blog. There are lots of treasures at Mo's blog, IT'S CROW TIME. Yet another reminder of the good parts of the connected world we live in. What a lovely idea and how generous of you to give your permission. Not all would. I am sure it will be a treasure! this is just such a wonderful thing to be able to do in this interconnected 21st C world! Here I am in Australia getting permission to bind a book from the printable digital file of Susan's portfolio that is on her CD! I have been inspired by Susan's work for years online via her website, blog and in so many books about artists books!